When you feed hay without the benefit of a hay analysis you are feeding an unknown. It is well established that hays across the country, around the world in fact, vary widely in protein, digestibility, mineral levels and mineral balance. The advent of vitamin and mineral supplemented feeds, and later “balancers”, was a very positive development in equine feeding but you can’t rely on them to solve all the issues in a horse’s diet. One problem is calories, particularly a problem for horses that are not performing significant work on a regular basis. These products contain 2 to 3 times more calories than hay, so for every 5 pounds of grain fed you deprive the horse of 10 to 15 pounds of hay. This is less of an issue for balancers fed in 1 to 2 pound amounts but because of the starch content even balancers may be inappropriate for insulin resistant horses. Protein can be an issue with feeds. 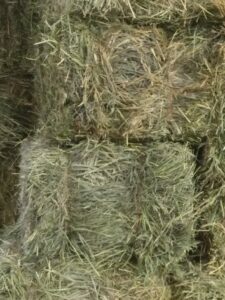 Even fed in full recommended amounts, feeds and balancers do not fulfill protein needs and hay must supply 50% or more. For 1 pound of the more calorie dense feeds to supply as much protein as 2 to 3 pounds of hay they would have to have 2 to 3 times more protein than the hay. They don’t. If the hay already had extra protein enabling you to feed less it’s not a problem but you can’t know that without a hay analysis. On the mineral front, when fed as directed most products will result in an adult, not pregnant or lactating, horse getting at least close to the minimum required level of each individual mineral. However, the feeds and balancers cannot reliably correct for imbalances that influence how well these minerals are absorbed. Even if they are used as directed there’s a good chance a hay analysis will identify areas where you still need to adjust to achieve balanced ratios. A common example is a horse getting fortified grain or a balancer that still has issues leading to buying a coat or hoof supplement. A major thing many of those coat or hoof supplements do is to target imbalances commonly present in hays. You can avoid all that double supplementing by getting a hay analysis and using a mineral supplement that correctly addresses both imbalances and total amounts in the first place. If the mineral profile of your fortified feed or balancer does not correctly address the issues with your hay it could even actually do more harm than good. 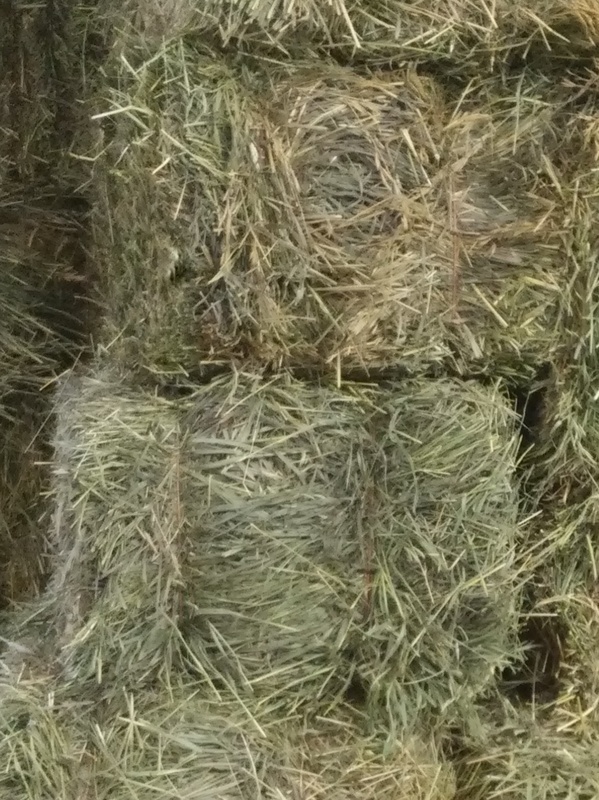 Do the job right for best results and save money in the process with a hay analysis. It can be the best investment in solid nutrition you have ever made. Awesome advice from Dr. Kellon who balances our hay and Triple Crown Lite with a custom blend of vitamins and minerals!